Have you ever caught yourself saying, “what is happening to the children of this world?” Do you feel frustrated with rude and inappropriate behavior at every turn? If so, it may be time for you to do something about it. YES YOU! You can do something about your community by adopting a child for afternoon tea. Over the years, numerous women have shared with me their tea journey. 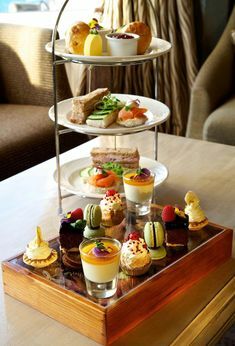 For many, after school tea with a relative set in motion their passion for afternoon tea tradition and a finer way of life. If you did not enjoy teatime with a relative consider starting a tradition of your own. Why not share teatime with your own children or the neighborhood kids? 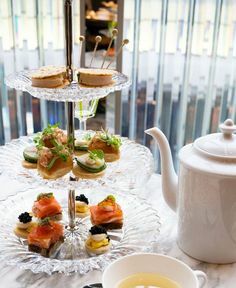 Afternoon tea is a gentle art that is taught. You can be the teacher and you can impart peace to the next generation if you will simply take the time. Here are a few suggestion to get you moving in the right direction. 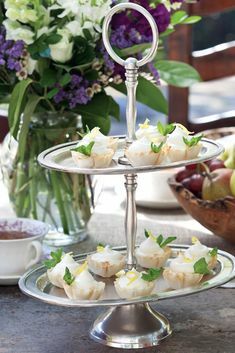 #1 Snacks Required: Afternoon tea with children can be as simple as sliced fruit, cinnamon toast and an herbal cup of tea. (they tend to love anything cinnamon) Don’t forget to offer real sugar cubes and don’t be surprised if they have more fun with the sugar cubes then the tea 🙂 The goal here is to offer a snack not a meal. I suggest that you ask the child what some of their favorite foods or flavors are and offer an appropriate menu. Many children have never had scones and love the process of adding butter and jam. KEY: Clever shapes, unusual tableware and seasonal themes always add to the fun when you are working with children. #2 Manners Appreciated: Don’t assume your new protege knows his or her manners. Most children have never seen or heard anything like formal table manners. Plan to teach the etiquette basics and give them time to practice. If you make manners fun, children will look forward to coming to your home. I suggest teaching where to place your napkin, where to place your hands, (and elbows) eye contact, chewing with your mouth closed, how to sit and quiet stirring and sipping. Consider offering a prize each time the child remembers their manners. #3 Ritual is Key: Life is chaotic for most children. They are shuffled from here to there and back again. Offering a consistent ritual that a child can look forward to is a great way to offer peace in a storm. You can be the one thing that is secure. 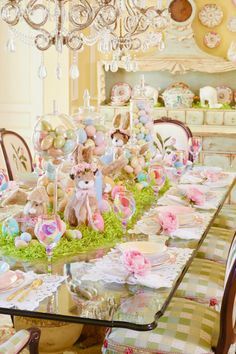 It is important to make every attempt to keep your afternoon tea party at the same time each week (or each day). Don’t let anything get in the way. Consistency will build ritual and ritual will build security. #4 Listen While You Chew: If you haven’t already figured it out, the most important part of the tea party is not the food, nor the manners, nor the time of day. The most important part of afternoon tea with a child is listening. Initially you may need to start the conversations but in time, the child will be eager to share the latest in their world. Don’t ask questions like “How was your day” and expect an interesting answer. Instead offer the child a bowl of questions and ask them to draw one out. Let the child share their thoughts. You should also take a turn drawing out a question and letting your table companion get to know you. #5 Repeat, Repeat, Repeat: If you are building a ritual and changing a life, consistency is key. Don’t expect fantastic results the first day out. You must be in it for the long haul. I suggest that you plan to be available for the entire school year or for the summer break. Either way have a defined schedule that the child can count on and look forward to. Rest assured, there will be days when you wish you were doing something other than sitting with a little kid at the table. You might long for adult conversation. You might despise the fact that he/she uses all your sugar cubes EVERY TIME. Remember, this is NOT about you, this is about them. Keep your focus on them. Listen. Give. Be There. Make It Special. 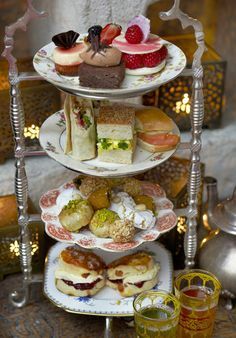 A final word, keep your afternoon tea to a tight schedule. I suggest 45 minutes or less. Children have short attention spans so plan to work with it. Keep the activities rolling and the time will fly by. You can change the world, one child at a time. Pour some tea and see what I mean! I’m suffering withdrawal pangs this minute, for our GrandDaughter, who has been with us three-days-a-week since she was six weeks old, has just started to school. Tea-time just isn’t the same. Her school is WAY across town, but I do pick her up on Wednesdays and Fridays, so we’re going to be making those charming little marshmallow cups tomorrow. She has lovely manners, and enjoys all the niceties, pouring out with a finger in the lid JUST SO, but I still cannot get her to drink TEA. 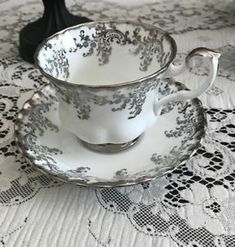 We settle for juices and lemonade and cocoa in her pot, so the companionship is there, and I love that we’ve been able to take her to tea-rooms and hotel teas and lovely restaurants since she was very young. I’m afraid my hostess-side has rubbed off, for she’s developed a definite tendency to try to herd people to the table so she can entertain. I loved this post, and look forward to dropping in often. Yes, i agree with Rebecca it is a wonderful post. And some very good ideas on getting kids on table. conversation starter is lovely..Rather questions too.